Members of Flotilla 12-8’s detachment at The Citadel in Charleston, South Carolina, recently spent a weekend touring several Coast Guard facilities as part of a field training exercise coordinated by Ensign Kahley, Sector Charleston’s Auxiliary Liaison. Kahley and Senior Chief Petty Officer Fish welcomed the group to the Charleston Command Center and Response Department where they heard about Project Seahawk and its role in port security. They also toured the Charleston Coast Guard Air Facility and climbed aboard an HH-65 Dolphin helicopter. Lieutenant Commander Thorsrud and Lieutenant Mathis, a rescue swimmer and a flight mechanic, explained the flight crew’s daily life and duties. The weekend concluded with a tour of Coast Guard Station Charleston, its 41-foot utility boat, 23-foot Defender Class boat, and two cutters: the 87-foot Yellowfin and the 75-foot Anvil, a construction tender. Aboard the cutter Gallatin, the working conditions for enlisted and officers at sea was explained. “Our training has been phenomenal this past year. I am looking forward to my senior year and a possible Coast Guard career,” said Cadet Tyler Branch, a three year member of the detachment. Beginning with the first year of membership, cadets have a rigorous physical fitness program based on Coast Guard standards that develop leadership and team building. An important part of the program is familiarization with operations, components and assets of the active duty and reserve Coast Guard. In their first year cadets in the Auxiliary program also become qualified in public education and the vessel examiner program and undergo team coordination training. Training is progressive over four years and includes qualification in boat crew, operations and information technology. The Auxiliary detachment at The Citadel was established in the spring of 2008. It is sponsored by Flotilla 12-8, Charleston, South Carolina. Under the mentorship of Alan Miles, flotilla commander; Bill Riley, immediate past division commander; CWO Thomas Gelwicks, Coast Guard Reserve; and the Auxiliarists of Flotilla 12-8, the development, structure and recruiting for the detachment has steadily grown. Currently, sixteen cadets participate in operations support and educational activities with the Auxiliary. A landmark in Charleston since its founding in 1842, The Citadel is well known for its military and leadership training. It is home to about 2,400 undergraduates from the United States and foreign countries. 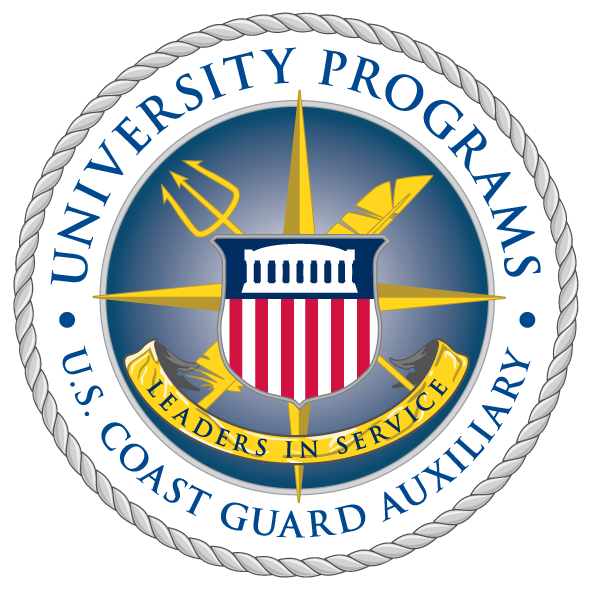 For more information about The Citadel’s Coast Guard Auxiliary detachment, visit www.citadeluscgaux.com.